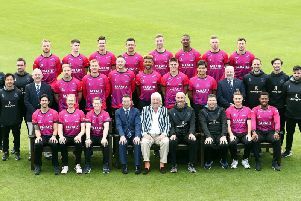 The division make up of the Sussex Premier Cricket League has been revealed. The restructure of the league was finalised in the last month with 80 teams spilt into eight divisions after teams objected to a proposed restructure which saw it reducing from eight division to six. And now we know which division each team will be in. The Premier Division and Division 2 still consist of just 1st XIs but Division 3 now sees five 2nd XI mixed in with five 1st XIs. Divisions 6 East and West are fairly self-explanatory in that they are the old 2nd XI Division 3 East and West. Divisions 5 East and West have been structured on geographical location due to one of the findings that came out of the recent player surveys. The season is also now split, half timed games and half limited overs games. They will be played as five limited overs games at the beginning of the season and four at the end. In between will be nine of the 100/110 over games. Teams in Division 2 will only play limited overs games against Guernsey.